Customizing a concealed carry holster requires time set aside to adjust retention, cant, ride height and the clips/loops/straps that secure it to the body. An allen wrench or similar tool is necessary when altering a holster for a personalized draw or for its placement on the waist, but what if that wasn't a requirement? Did you know the average American wastes 55 minutes every day looking for things they know they own but can't find? That amounts to 12 days a year, according to a report from Newsweek. How much of that time is spent looking for tools? 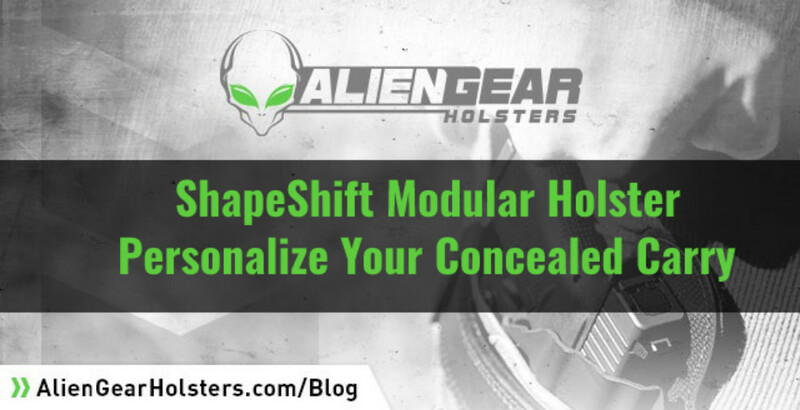 The ShapeShift modular holster removes the need to track down tools to customize the holster or reconfigure it into any of the other ShapeShift carry systems. What Can Be Customized Without Tools On ShapeShift OWB And IWB holsters? ShapeShift OWB and IWB holsters have different traits, so what may be customized will differ slightly between models. 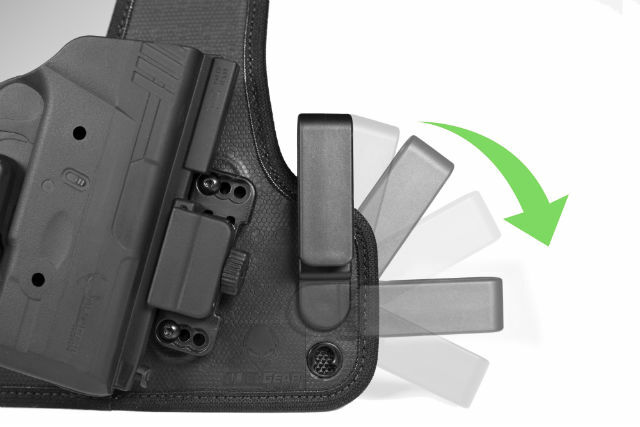 The belt clips on the ShapeShift 4.0 IWB Holster do not require any hardware. By rotating them downward 180 degrees, they may be removed, and then raised or lowered for a positive or negative cant. Raising or lowering these clips allows deeper concealment or higher placement on the waist — again, no fiddling with T-nuts, chicago screws or similar hardware. The cant on the ShapeShift OWB Paddle Holster may be adjusted in 12-degree increments by engaging a single button and rotating the full-shell configuration. 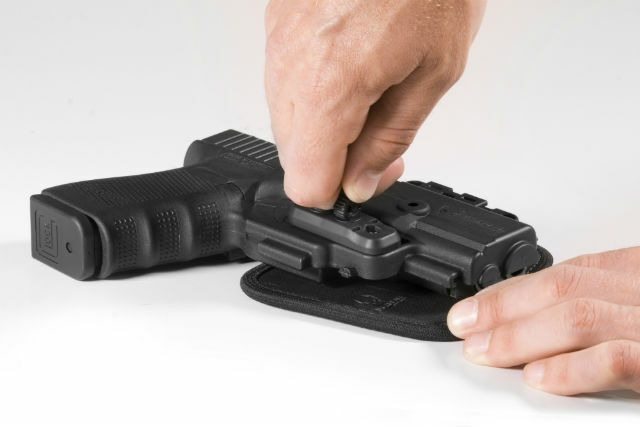 The active retention device on the OWB paddle holster is installed without any tools. The passive retention on all holsters technically requires a tool, but it's a part of the holster. Unscrew one of the twist locks on the shell and give the adjustable retention unit a few twists for tighter or looser passive retention. Shifting from the 4.0 IWB Holster configuration to the OWB paddle holster configuration doesn't require tools at all. The shell that's fitted to the handgun's make and model may be swapped out for any other fitted shell, again without any tools. Hands. That's all you need. Well, and a handgun to put in the holster. But that's another topic in and of itself. The Benefits Of A Holster Without Tools? On its face, that question is easy to answer. A holster without tools saves time and resources. It's a small trait with big results. Think about time wasted at work. If it's a loss of money there, why shouldn't that principle be applied to configuring your everyday carry set up? 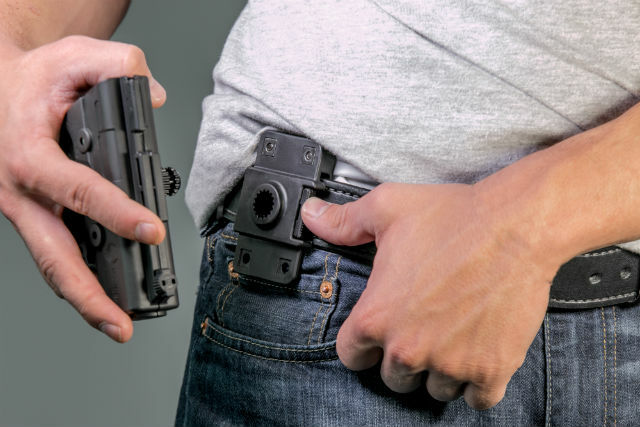 Obviously this is going to come from a biased standpoint, but the ShapeShift Modular Holster System benefits gun owners by creating a centralized system that eschews the very idea of the holster drawer. It's an agile product that attunes its characteristics to the carrier. Figuratively speaking, it's the chameleon of holsters. It evolves to adapt to new environments, and it does so without any required external devices or tools. Walking out the door to a meeting with new clients at work? Shift from open carry to discrete concealed carry in a moment's notice. Training at the range with different everyday carry holsters and handguns? Switch between modes of carry and handgun models with the same holster system on location without having to carry any bulky tools. Entering a questionably safe, public area while open carrying? Install the thumb release active retention unit on the ShapeShift OWB Paddle Holster while in your driver's seat before leaving the vehicle to ward against being disarmed. There doesn't have to be a single holster you have to compromise on. Why not have multiple types of holsters on hand? A utilitarian holster is capable of optimizing everyday carry. The ShapeShift may come in a box, but the idea sure didn't. Does the ShapeShift Need Threadlocker?